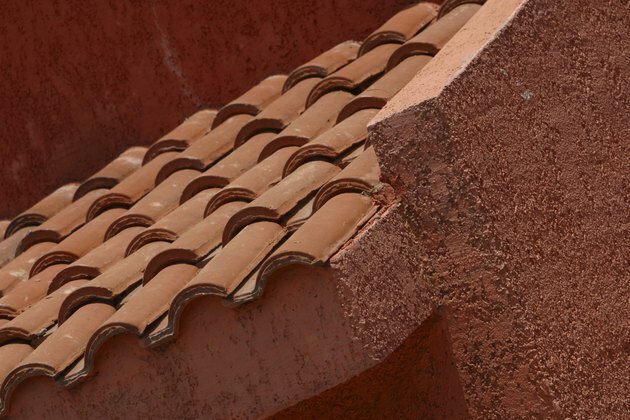 Red roof tiles are commonly found on Spanish-style home designs. When choosing an exterior paint color, homeowners must take several things into consideration, such as the neighborhood, neighboring house colors, neighborhood association guidelines, where applicable, and most important, finding a color that will complement the red roof tiles without overwhelming them. Choose exterior paint colors that complement your red roof tiles. 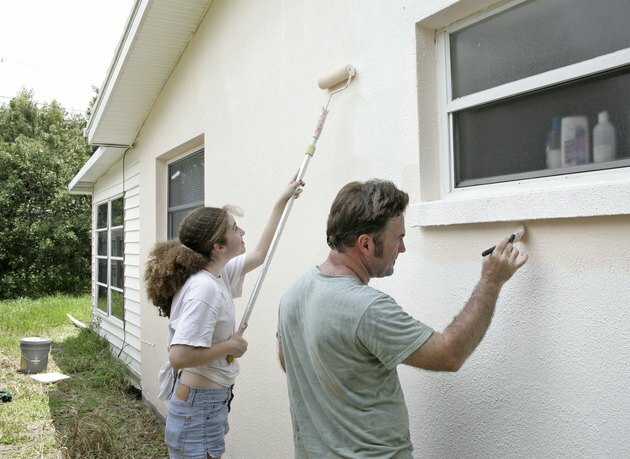 First impressions count, and when it comes to exterior house paint colors, what looks good to you might be an eyesore or embarrassment for other homeowners on your street. Choosing the right color to accent or complement your red roof tiles increases the beauty and curb appeal of your home and sets the tone for who you are as homeowners. The structural design of your home and its architectural designs can help you choose the right color or colors for your home's exterior paint job. Contrasting shades or colors in creams, soft yellows and whites help red roof tiles stand out and offer a clean exterior for your home. Window boxes, trim and other woodwork details can be painted or stained with varying tones to add a historic or Spanish Mission style to your home. 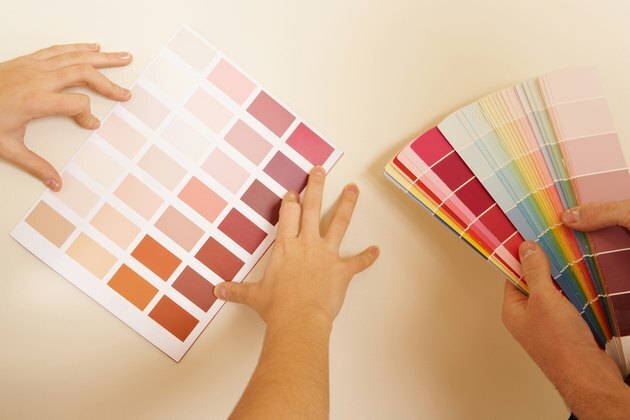 Select a large variety of color paint chips from your local paint store and place them against a pure white background. This helps you see subtle color variations that you might not notice otherwise. Darker paints look even darker when applied to large areas. Examine your paint chips outdoors in full sunlight rather than indoors for a true idea of the color on the chip. 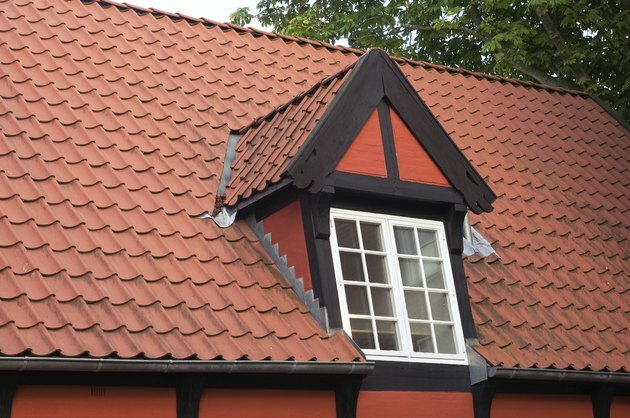 Your red roof tiles will serve as the focal point of your home. Base your exterior paint color on such focal points. Neutral colors work well, with darker shades or colors on trim, window casings and doors. 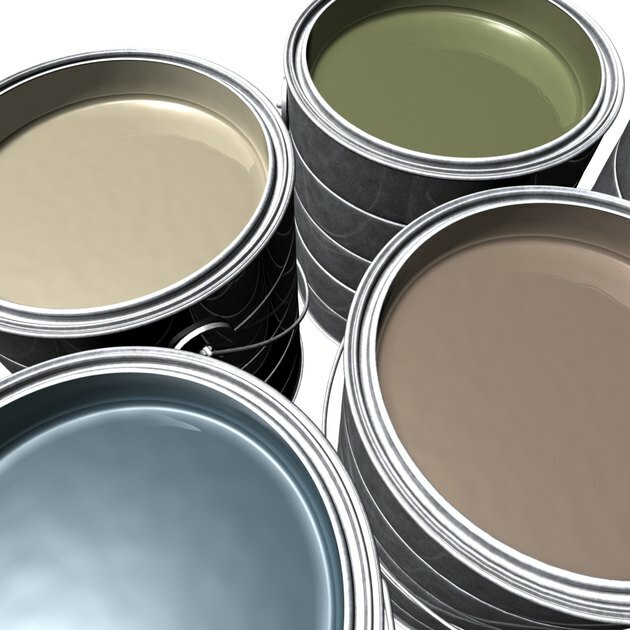 Purchase quart-size paint containers, and test colors on an area of the house not seen from the street so you can gain a better idea of how a paint color looks on the house after the paint has dried. Weather and the degree of full sun your home receives also impact decisions regarding colors and color tones. Southern desert climates fade paint more rapidly than northern climates. Desert tones and colors such as sand, white, cream, very soft yellows and browns blend well with a hot, dry environment, complementing the red roof tiles. 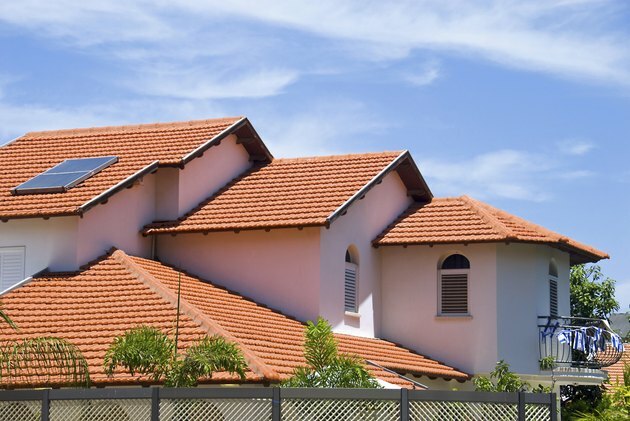 Colors such as forest green and maroon more commonly used in northern climates will clash with your roof tiles and appear too dark in a desert area.